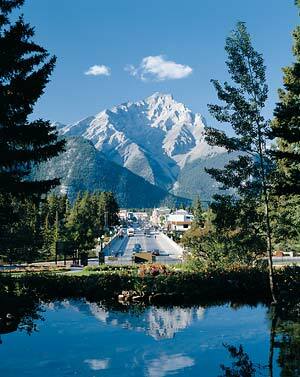 The Town of Banff is an incorporated municipality located inside a national park. National parks are under the jurisdiction of the Government of Canada, so there is a unique overlap of responsibility and authority between the local government, the Province of Alberta, and the federal government. At Banff’s incorporation a special agreement was made to determine which powers would be transferred to the town and which powers would stay with the federal government. This is called The Town of Banff Incorporation Agreement. To provide a comfortable living community for those persons who need to reside in the townsite in order to achieve its primary function. The Town of Banff leases from the federal government all land used for municipal operations and services. The lease costs the Town $550,000 per year. Property owners in Banff must lease their land from the federal government. The federal government has final authority over Banff’s land use planning, development, and environmental regulations.